Why should you buy a Chromebook? 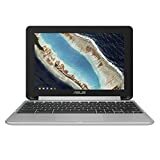 Google's Chromebook is like a relatively cheap laptop that runs the Chrome operating system and relies primarily on Internet apps. A wide range of on-line applications, including word processors and web browsers, can be used on a Chromebook. However, you need to rely on cloud memory for all your documents and other data, due to limited inbuilt storage. Although some applications are available for off-line use, their functionality is limited. To enhance your experience, you should go for the best Chromebooks. After going through thousands of Chromebook reviews, we have put together a few pointers that will help you to in purchasing one. What should you consider before buying a Chromebook? 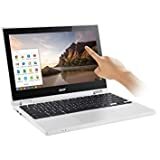 A Chromebook has several advantages over a traditional laptop, especially for users who do not have much use for heavy applications and use their laptop mainly for gaming or streaming videos or other light applications. Before finalizing a purchase, consider your budget and requirements, and go through on-line reviews. Video quality: Go for an HD display for the best video quality. Screen size: Be careful in selecting a screen size; a smaller size is more suitable if you travel frequently. Processor speed: Consider the processor speed before you make your purchase. A higher rating in Gigahertz translates into faster operations. Check the available internal memory: Chromebooks require you to store most of your data on clouds, so internal memory and hard drive are of no consequence. However, an internal memory between 2GB to 4 GB and a hard drive of 32 GB to 64GB should be the bare minimum. Consider the battery life of your device: At least eight to nine hours of battery life should be your target. Wireless connectivity: Check for the option of connecting to wireless mobile networks, as Chromebooks work on Internet connectivity. 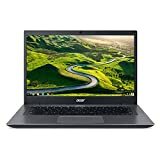 USB ports: Make sure that the Chromebook you purchase has several USB ports so that you have the option of connecting various peripheral devices to it. Additional features: Look for additional features, such as a touch screen, SD card slots, and HDMI ports.